Welcome to Theory Lessons.com, online guitar lessons in music theory. These free guitar lessons are designed for both guitar and bass players. You can access scales, chords, and music theory instruction for guitar or bass without leaving your home. This website will be offering what I feel are some of the best guitar lessons and bass lessons anywhere on the internet, and my music theory lessons are taught using plain english for both the beginner and advanced player. These lessons are designed to help you understand the music and where it comes from, so you can learn to improvise freely within it to find your own unique playing style. I'm Dave Allen and I have been playing guitar for 31 years, and earned a living as a pro guitarist for 16 years. I wrote this online music theory course to provide musicians with the quickest and easiest way to learn music and modal theory. Learn scales, chords, and music theory at your pace when you have the time. Learn from a pro player and guitar instructor and become the guitarist you have always wanted to be, playing your own style of music and improvising. 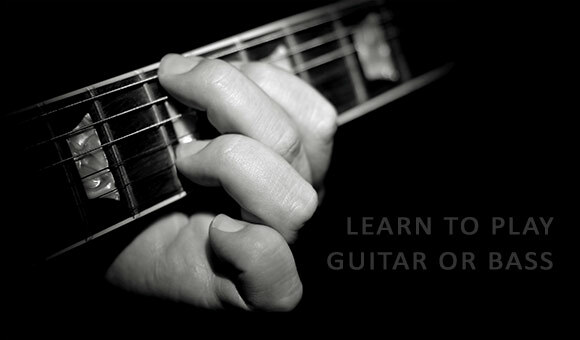 Try the course and see how quickly learning music theory can transform your guitar or bass playing. Your playing will improve rapidly as you learn to improvise, solo, and play many styles of music. If this site has helped you, then please take a minute and donate something. From now on anyone who makes a donation of $10 or more will be sent a free Adobe .pdf booklet that includes all of the guitar and bass lessons in the modal section in a format that is easy to print, view, and take with you on a mobile device, etc. Just click on any one of the Paypal donation buttons you find on our website and enter the amount you can donate, it's that easy. I will check for donations regularly and reply email the digital pdf booklet as quickly as possible to you at the email address you use for your paypal.